Kang L. Wang, a distinguished professor at the UCLA Samueli School of Engineering and the holder of the Raytheon Company Chair in Electrical Engineering, has received an international award for his discovery of a long-sought-after particle that could lead to the development of a new class of quantum computers. Established in 1922, the International Union of Pure and Applied Physics, a non-governmental organization whose mission is to advance physics to address challenges facing humanity, has selected Wang for the 2018 Magnetism Award and Néel Medal. The award will be presented to him in July at the organization’s 2018 international meeting in San Francisco. The Majorana fermion is a particle first proposed in 1937 by Italian theoretical physicist Ettore Majorana. It is its own anti-particle — carrying zero electrical charge – and is viewed as the best candidate to carry a quantum bit, or qubit, the unit of data that would be the foundation of topological quantum computers. Wang led the research that confirmed the long sought-after particle exists. The study was published in Science in 2017. He has also made pioneering contributions in the field of spintronics, which uses the spin and orbital properties of electrons, rather than their charge, to carry information and energy. 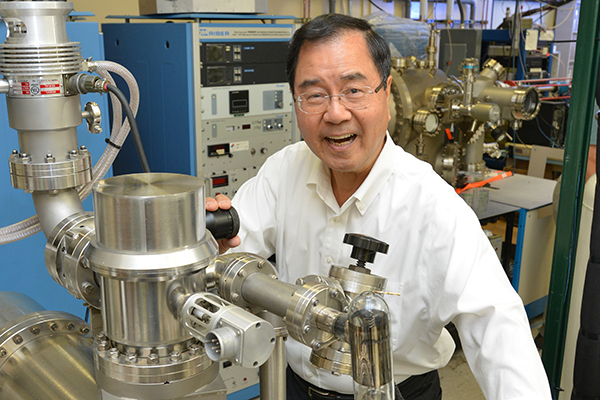 Wang will share the 2018 award with Samuel D. Bader, of Argonne National Laboratory; and Ramamoorthy Ramesh, of UC Berkeley, both of whom are being recognized for other contributions to magnetism. Wang holds faculty appointments in the departments of electrical and computer engineering, materials science and engineering, and physics and astronomy in the College of Letters and Science. Wang is a Guggenheim Fellow, a fellow of American Physical Society and IEEE, and a member of Academia Sinica, in Taiwan. His honors include the IEEE J.J. Ebers award for electron devices, the Semiconductor Research Corporation’s Technical Excellence Award, and the Pan Wen Yuan Outstanding Research Award. He also served as Editor-in-Chief of IEEE TNANO, as an editor of Artech House and for Spins, and as an associate editor for Science Advances. Wang joined the UCLA faculty in 1979. He received his M.S. and Ph.D. from MIT, and his B.S. from National Cheng Kung University, in Taiwan. He is the director of the King Abdulaziz City for Science and Technology’s Center of Excellence in Green Nanotechnology.